The Honor Code at McDaniel College affirms that honest people are the most important elements of a good community; the community pledges its commitment to the ideals of personal integrity and community honor in all aspects of campus life, including academic endeavors, use of the library and other facilities, and respect for community and personal property. The Code protects the rights of the honest majority against the actions of individuals acting dishonestly. As members of a community based on trust, ALL are responsible for ensuring that academic integrity is upheld; the effectiveness of the Honor Code depends on everyone’s participation. 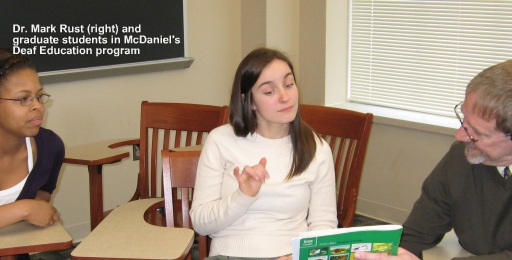 The McDaniel College community confirms its commitment to the ideals of personal integrity and community honor in all aspects of professional studies, including academic endeavors, use of the library and other facilities, and respect for community and personal property. The college-wide honor system affirms that honest people are the most important elements of the learning community and that the rights of the honest majority must be protected against the actions of individuals acting dishonestly. Therefore, all graduate students are required to adhere to the campus-wide honor pledge to neither give or receive unauthorized help on assigned work, nor tolerate others doing so. The Professional Standards and Ethics policy outlines both the expectations for graduate students and procedures when these expectations are not met. If the accused believes that either the conviction or penalty is unjust, he/she may appeal in writing to the College Provost within forty-eight hours of the end of the initial hearing. The circumstances under which a student may legitimately appeal are: faulty procedures, lack of sufficient evidence, sanctions believed to be too severe, or new evidence. The Provost shall call the Appeals Board to review both convictions and penalties. The Appeals Board shall follow procedures outlined in the Honor Code handbook.